The clamshell box can be versatile or simple, elegant or rustic. It’s design keeps out sun light, bugs, and dust making an ideal enclosure for rare books, wedding albums, art work, or archived materials. 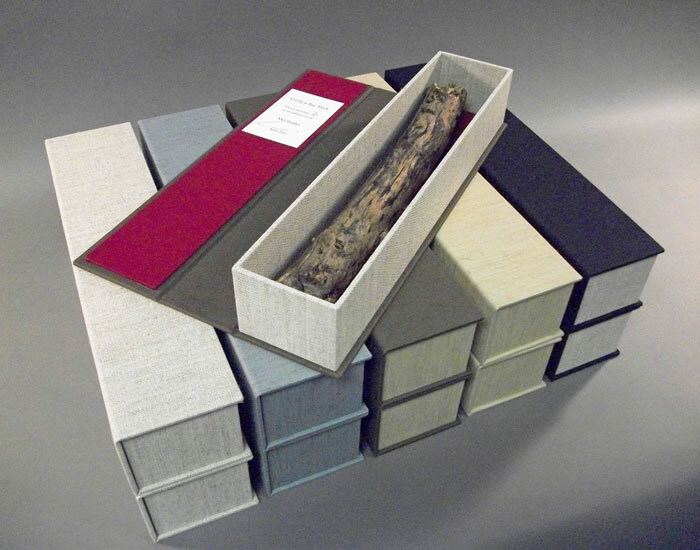 A variety of custom enclosures are offered for a variety of objects. Any custom enclosure can be editioned. The studio caps editions at 50.